A man is forced to become an FBI informant after making a bad deal with his new wealthy neighbor. A lone P.I. recruited by a mysterious beauty soon finds himself immersed in a surreal underworld. In this movie, a disillusioned young man of "Generation X" decides his life of unemployment is starting to get boring, so he decides to move to South America. 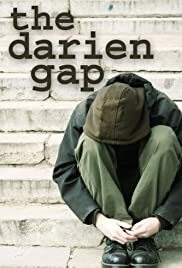 More accurately, (if I remember correctly), he decides to walk to South America from his home somewhere in the U.S., and from his research in the local library, he picks his final destination to be "The Darien Gap." The only thing preventing his journey is the fact that he's just met a girl. She's a model, with a really funny hat, and they like each other a lot, and naturally, she doesn't want him to leave, as her modeling career has just begun to take off. I saw this movie on the Sundance Channel several years ago, so I assume it was in the Sundance Film Festival. It has the look and feel of the usual independent films from the mid-1990's, with it's less-than-stellar cinematography and actors you've never heard of playing quirky characters. It even fits in with one of my favorite obscure genres, that is to say, Generation X disillusionment films made by disillusioned Gen Xers. However, "The Darien Gap" falls flat. If you want to see a funnier, quirkier mid-nineties disillusionment film, I recommend "The Four Corners of Nowhere," which makes up in laughs what it loses in cheesiness.